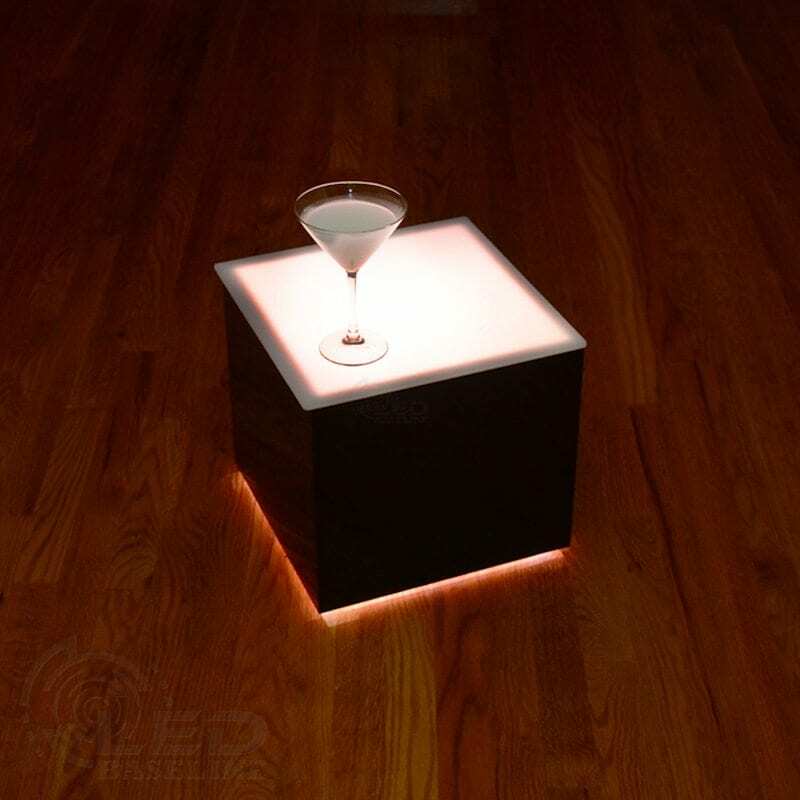 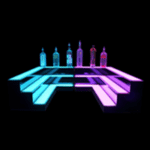 This Modern LED Lighted Table -14×14 features a clean design with lighting on the table top and towards the floor for a unique floating effect. 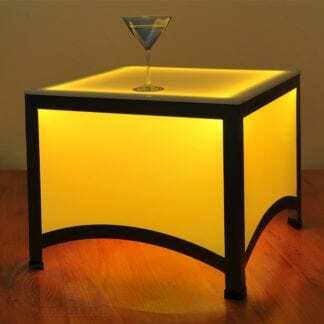 This table is available in a variety of heights to fit your space and furniture. 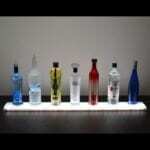 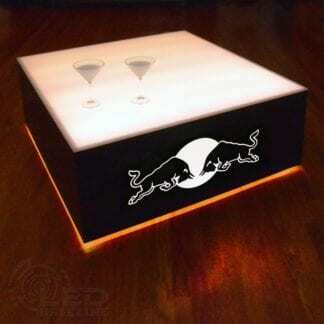 This table can be customized with lighted graphics of your choosing. 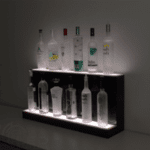 This is the perfect way to promote brands or add another level to your design aesthetic. This Modern lighted table is 14″ x 14″ and the height is customizable. 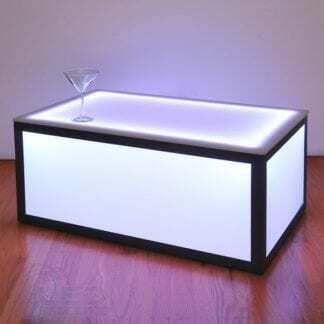 Lower Heights make great coffee tables and end tables. 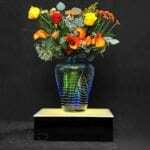 Taller heights make for great tallboy tables and display pedestals. 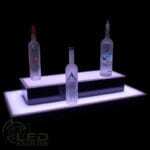 Custom dimensions are available on these LED Tables, contact us for a quote. 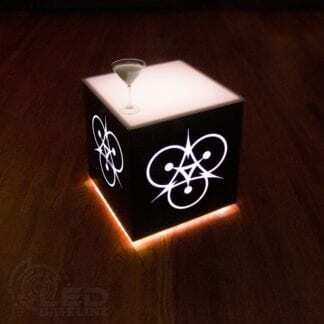 Customize your table with your logo or decorative design! 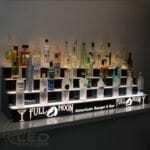 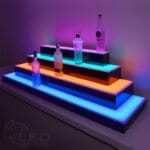 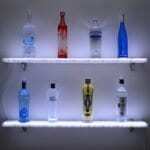 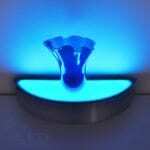 This is the perfect way to promote your brand or make your lounge space more dynamic with lighted decorative patterns. 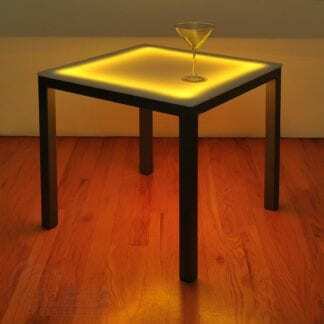 Standard finish for this LED Table is a gloss black. 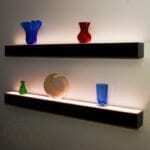 We also offer a variety of solid colors, wood grains, and exotic metal finishes. 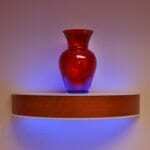 You can see samples of our custom finishes here.